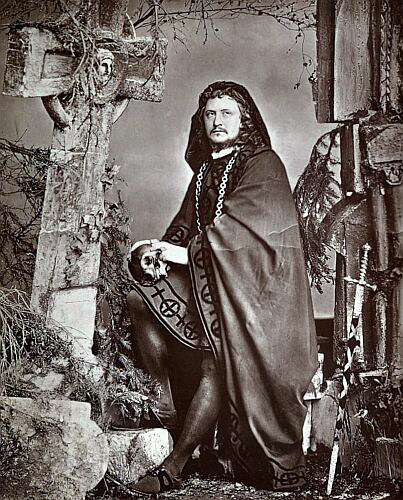 Fechter, Charles Albert (1824-1879). Born in London of French parents, he trained as a sculptor but showed even greater talent for the stage. Learning English, he appeared at the Princess Theatre in a variety of roles including Hamlet, Othello, Iago. In 1867, he transferred to the Adelphi, appearing in No Thoroughfare and the following season in The Count of Monte Cristo and as Count de Leyrac in Black and White. He then moved to America, returning in 1871 for a four week Adelphi engagement as Ruy Blas.